Source Insight is a powerful project-oriented programming editor, code browser, and analyzer that helps you understand code, while you work and plan. Source Insight has built-in dynamic analysis for C/C++, C#, Java, Objective-C, and more. A powerful suite of components for connecting applications with spreadsheets and spreadsheet data. Connect, create, and update spreadsheet data from Excel, Google, etc. from custom applications. The Spreadsheet Integrator is a set of components that allows developers to easily read, write, and update popular spreadsheet formats including Microsoft Excel and Google Spreadsheets. 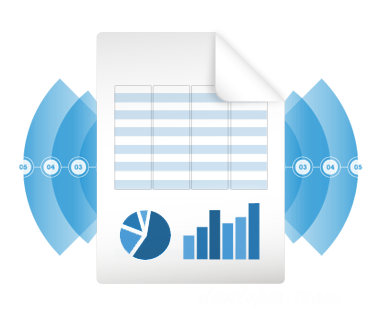 The components provide developers with straightforward access to spreadsheet data and include easy-to-use controls for manipulating layout, formatting, formulas, etc. 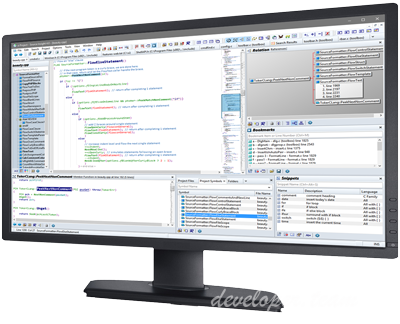 dbForge Studio for MySQL is a universal GUI tool for MySQL and MariaDB database administration, development, and management. 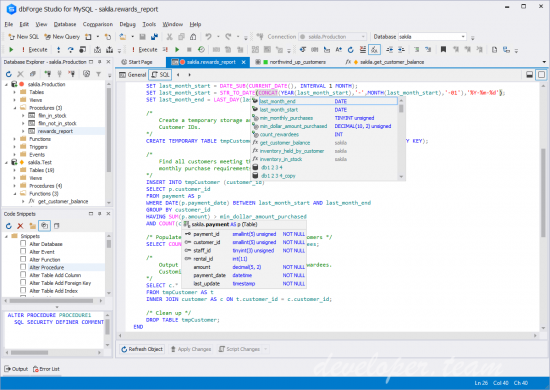 The IDE allows you to create and execute queries, develop and debug stored routines, automate database object management, analyze table data via an intuitive interface. The MySQL client delivers data and schema comparison and synchronization tools, database reporting tools, backup options with scheduling, and much more. 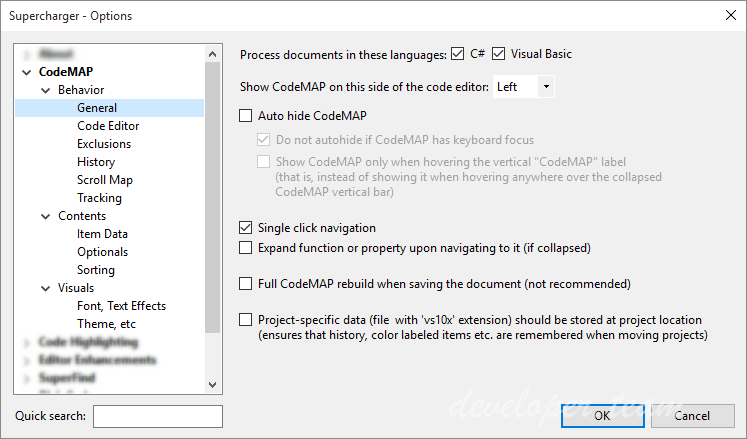 The best navigational tool for Visual Studio just got better. Relying on a Roslyn-based custom-built file code model, this new version of CodeMAP is perfectly accurate, immensely faster, with an impeccable notification system and almost imperceptible UI thread overhead. If you're not already, you will get addicted to CodeMAP's elegant and efficient presentation. Everything is there: sorting, grouping, nested code representation, code collapsing with editor sync, navigation history, member highlighting with editor sync, drag'n drop reordering, built-in and custom views etc. Testimony to CodeMAP's flexibility and power are its amount of options. You can customize almost anything you can think of in order to make it yours. Native access to Excel files. The user doesn't need to have Excel, or any other software installed. XLSReadWriteII uses it's own memory manager that is optimized for storing cell values. This means that you can work with larger files. If your files still not will fit in memory, there is a Direct Read and Direct Write modes that let you process files on disc. Source Insight is a powerful project-oriented programming editor, code browser, and analyzer that helps you understand code, while you work and plan. 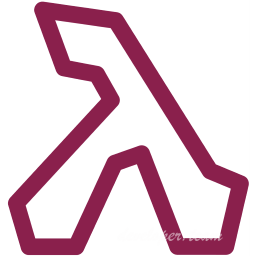 Learn an existing code base quickly, and get up to speed on new projects. Evaluate the costs of potential changes by seeing where functions and objects are used. See class inheritance and function call trees. LINQPad is not just for LINQ queries, but any C#/F#/VB expression, statement block or program. Put an end to those hundreds of Visual Studio Console projects cluttering your source folder and join the revolution of LINQPad scripters and incremental developers. Reference your own assemblies and NuGet packages. Prototype your ideas in LINQPad and then paste working code into Visual Studio. Or call your scripts directly from the command-line. Experience LINQPads rich output formatting, optional debugger and autocompletion, and the magic of dynamic development and instant feedback! HTML to PDF Converter offers a simple and hassle free method of converting from HTML to PDF format within your application. You will make just one function call to do the conversion.